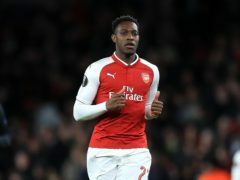 Aaron Ramsey has been passed fit for Arsenal’s trip to Everton on Sunday, as Unai Emery’s side look to strengthen their grip on a top-four place. What the papers say Bayern Munich will reignite their interest in Chelsea winger Callum Hudson-Odoi in the summer, the Mail says. After an unsuccessful bid in the January transfer window, the German club are set revisit another £35million offer for the England Under-19 international, the paper reports. 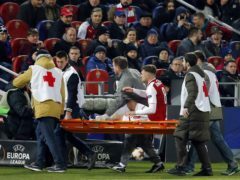 Arsenal midfielder Aaron Ramsey has posted a photo on Instagram of the deep cut he suffered to his leg during the Europa League draw against CSKA Moscow.